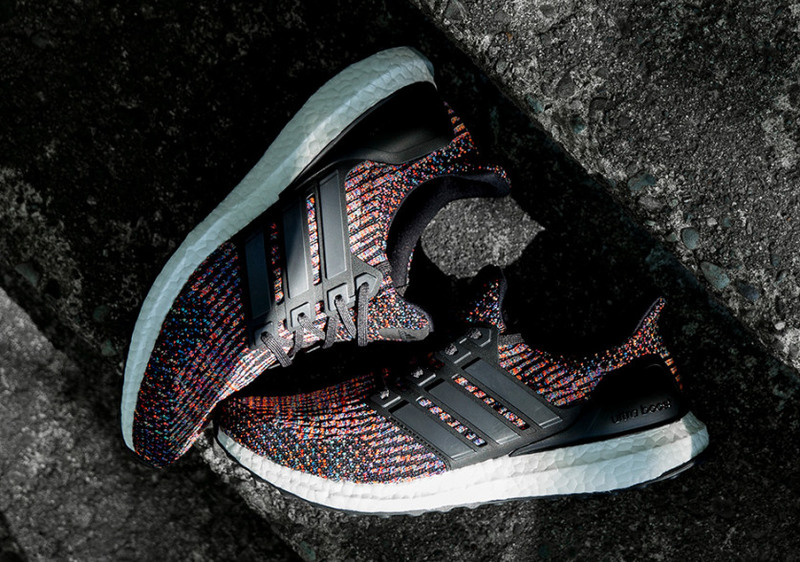 The adidas Ultra Boost 3.0 Multi colour is one of the most anticipated colourways yet for this popular range. Looking closer at this adidas Ultra Boost, they feature multilevel shades used across the Primeknit upper. The Ultra Boost 3.0 takes performance and comfort to a whole new level. A textured material across the upper features a lined imprint, which is both snug and contemporary. Thanks to the woven thread, a multi-coloured upper is now a possibility. 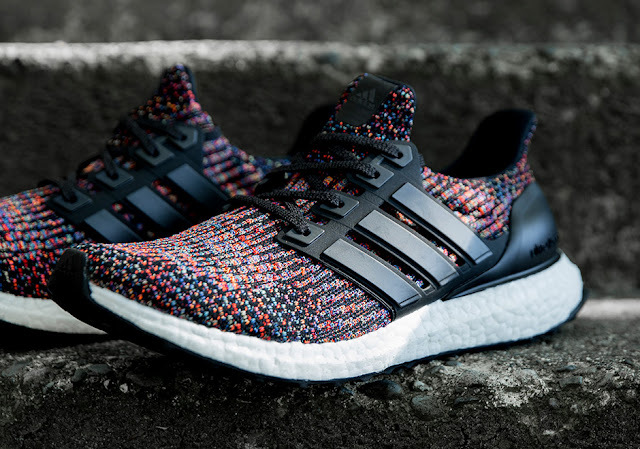 Bold shades of orange, red, blue and green contrast against black detailing on the upper of the sneaker. In addition, we have a semi-translucent Three Stripes cage that appears to be smokey. Following, Black is used across the laces, heel counter, liner, and outsole. Finishing the look we have White used across the Boost midsole. 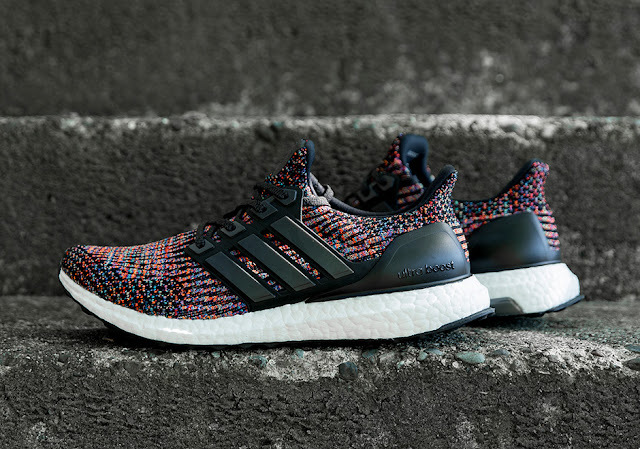 The adidas Ultra Boost 3.0 Multi-Colour is available at selected retailers.